What is Search Engine Marketing / SEM? - A Digital Marketing Agency | IIAS - International Internet Advertising Services Inc.
What is Search Engine Marketing / SEM? We get this question from many of our clients and the overall answer is quite simple. Search Engine Marketing is a form of Internet Advertising which promotes websites by increasing their visibility in search engines. Now that we have covered the short answer things can get a little more confusing because many in the industry use this term in different ways. 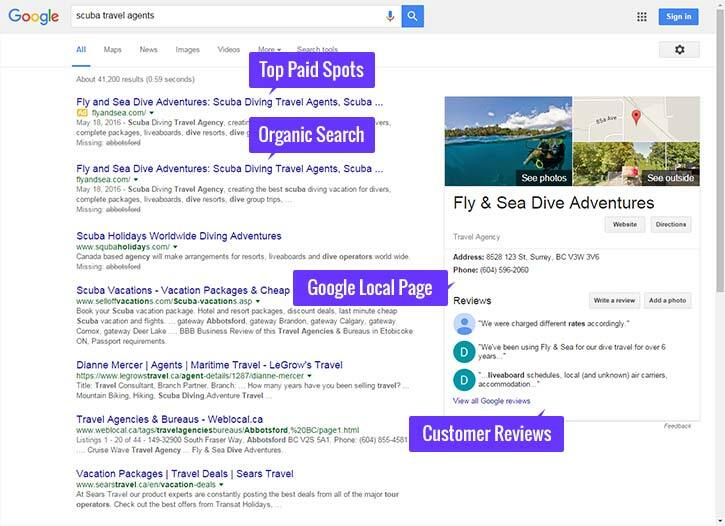 Some companies often refer to Search Engine Marketing in the context of paid inclusion or what you might have heard of as PPC, CPC or Paid Search Marketing. Two of the most widely used platforms for paid inclusion are Google Adwords and Microsoft adCenter. Essentially these products allow you to pay for inclusion in their search listings and on targeted content networks. Other companies refer to Search Engine Marketing in a broader context which includes both paid inclusion and search engine optimization. In general I will use the term Search Engine Marketing / SEM in the broader context which includes PPC and SEO but I am equally guilty of using the term in the specific context of paid inclusion as well. So then you ask: What is the official definition of Search Engine Marketing? My official definition is any activity which promotes websites and increases traffic by improving the search engine visibility.